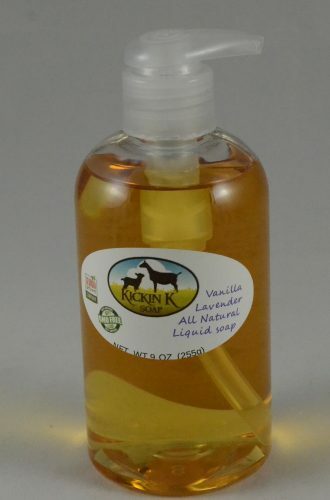 Short Product Description: All natural leaves your skin feeling clean and fresh. 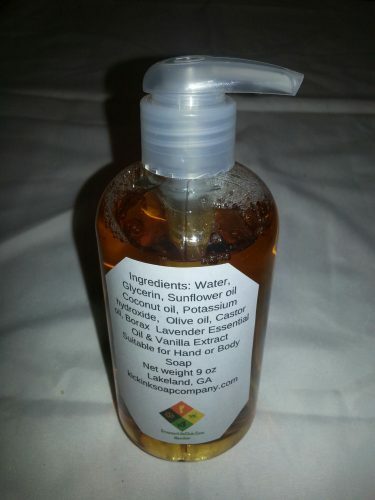 This awesome all natural liquid soap can be used for hand, body or even shampoo. 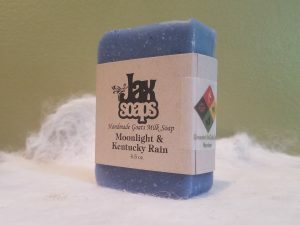 This soap will not dry your skin but leaves it feeling soft and clean. Only natural fragrances and colors no fragrance oils, synthetic colorants or dyes.. Hand made in small batches with a luxurious blend of natural oils your skin will love. No Triclosan, Surfactants, Parabens, Ureas, Synthetic colors, Synthetic fragrances, Diethanolamine (DEA), Glycols, Alcohols, or Phthalates… actually it’s easier to list the natural ingredients than to tell you all the “bad” stuff that’s not in our soap. Net Weight 9 oz.